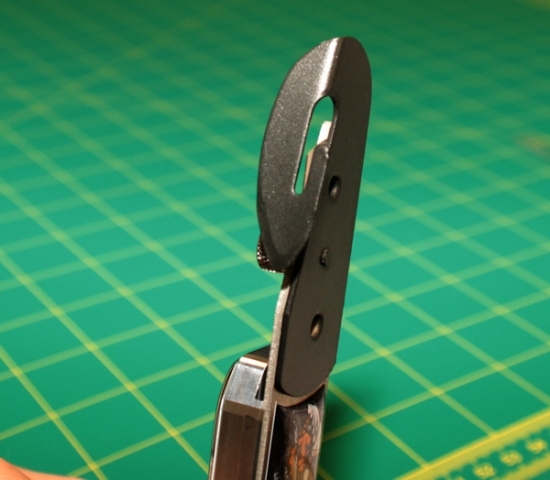 This is the ultimate improvement to our cutting highlight, the “BodyGuardKnife”. With previous versions, you have to replace the self-adhesive TeflonShoe from time to time. This shoe prevents the guiding “foot” from sticking to the exposed self-adhesive vinyl. Our all-new ProTeflon version is fitted with a high-end Teflon coating - like you find on premium frying pans. No more replacing strips of Teflon. This is a must-have for all those who use our cutter every day. 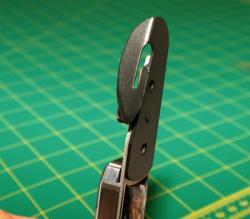 Our Aussie friend, Julian Bowdler (AVS), was also looking for a spare blade holder integrated into the handle. Even this has been realized with the new ProTeflon version! Of course, you can upgrade your existing BodyGuardKnife with just a replacement part (ProTeflon Shoe). 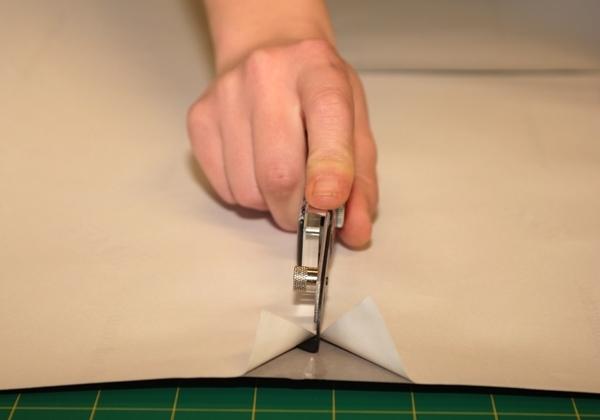 This really makes sense, since not only does the cutter offer improved adherence with the etched coating of premium Teflon, but it also improves the gliding properties throughout the cut of the open liner paper. 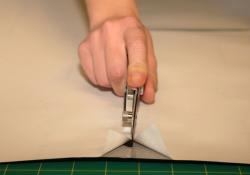 Back-slitting can now be done with way less friction and with an easier, faster cut.